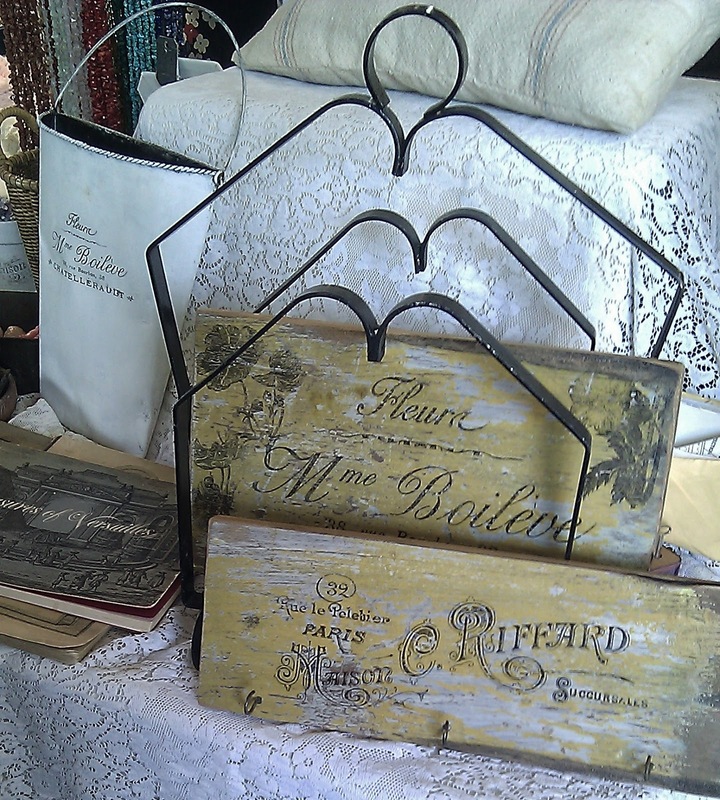 Although I was only set up for one day, I had a fabulous time at Kane County Flea Market. 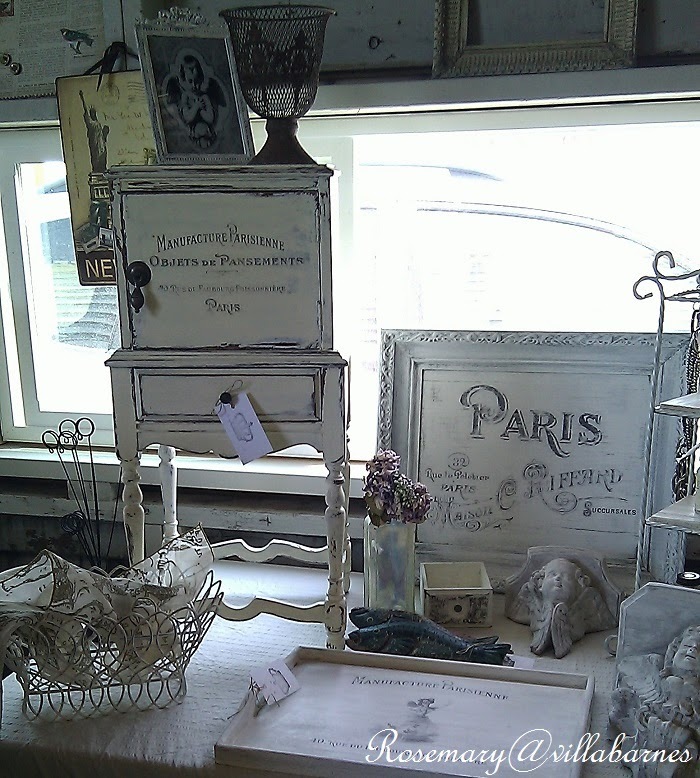 As I mentioned in my last post, I split a booth with my friend Lynn, owner of Parisian Flea Market on Etsy. 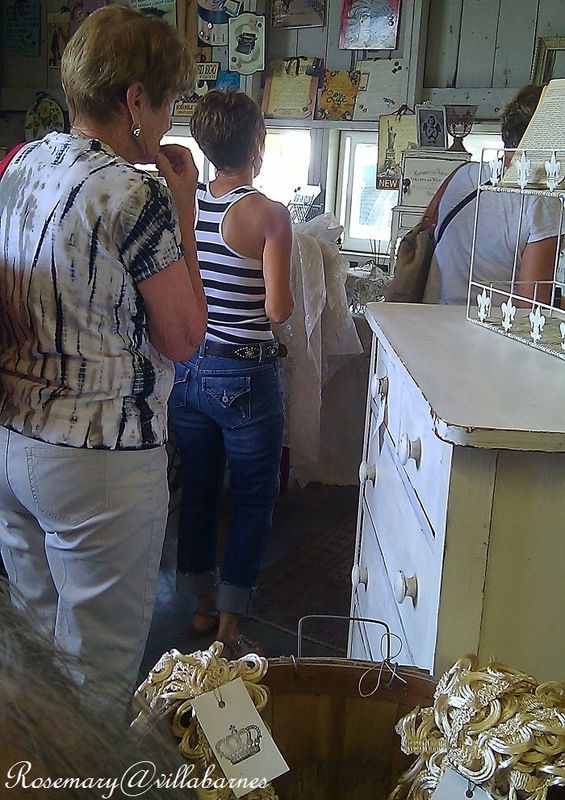 My space was small, but, lots of customers kept me busy pretty much the entire day. The following grouping was one of the first things to go. I've been having fun mixing some of my own images with those of The Graphics Fairy. 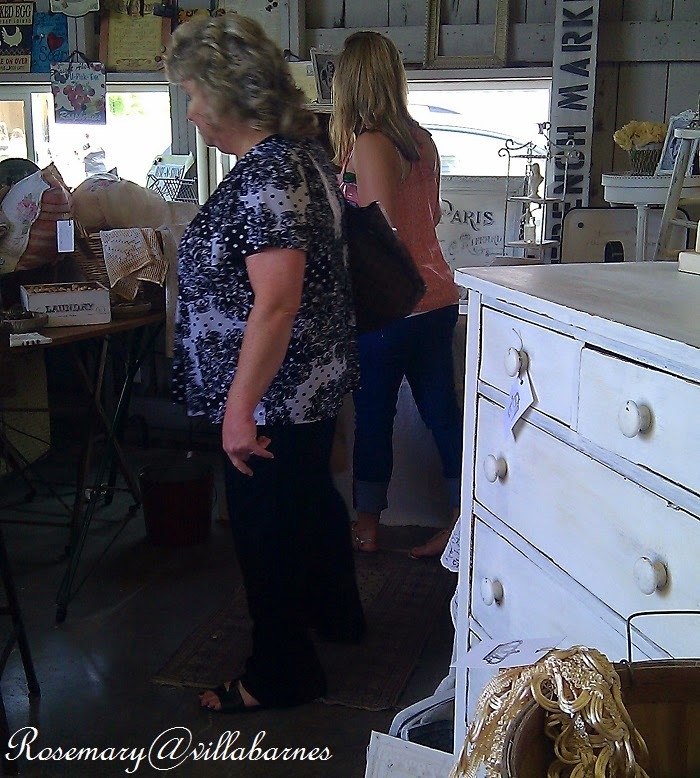 I was so happy to see my friend Kris of Junk Chic Cottage. 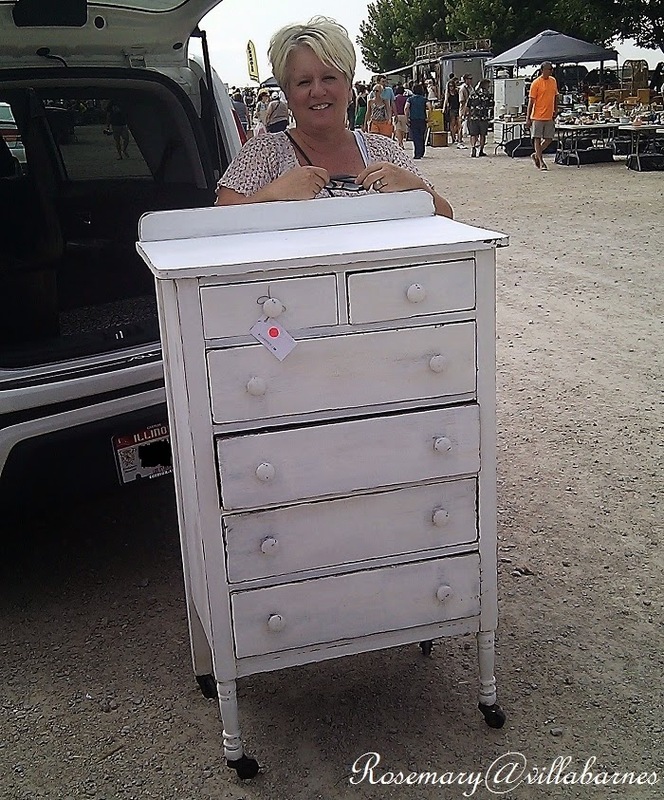 This chest of drawers went home with her. Thanks Kris. 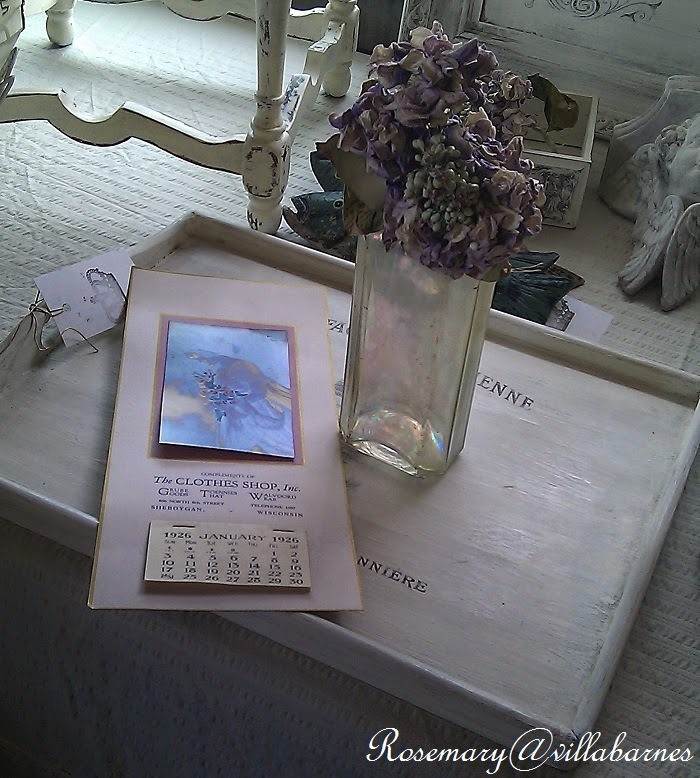 The vintage calendar, bottle, and posies went to a long time customer. 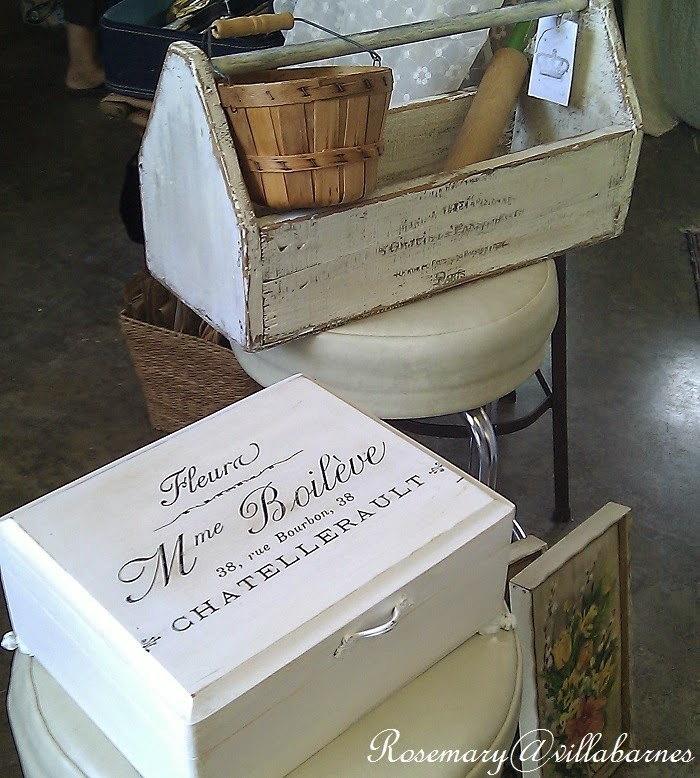 The footed box I painted in this next photo was probably the most touched item in my booth. 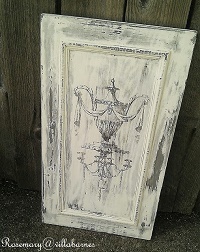 It was finally purchased by the same lady who purchased this small cabinet. See the little three shelf stand on the right in this next photo? 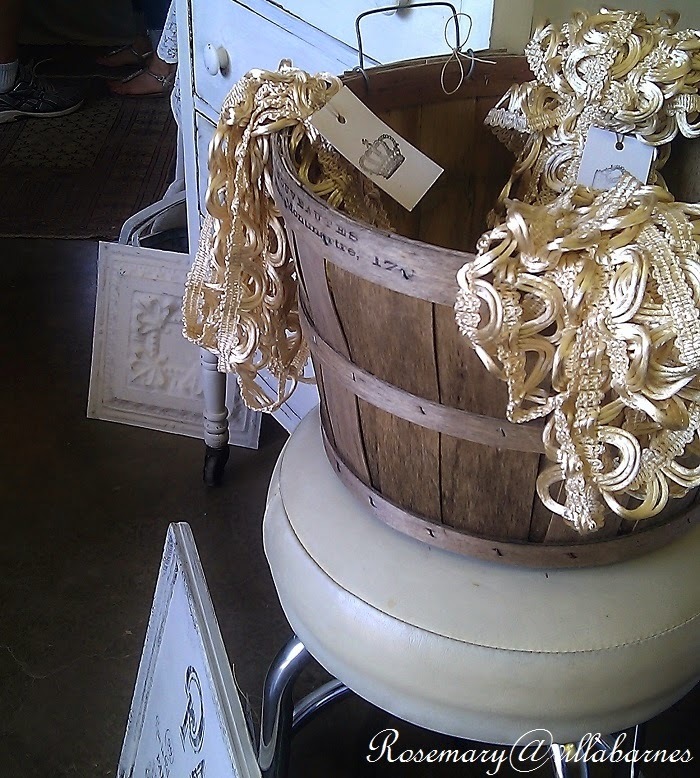 The lady who purchased it is planning to use it in the bathroom to hold toilet tissue. What a great idea. I'm very grateful for a good show. 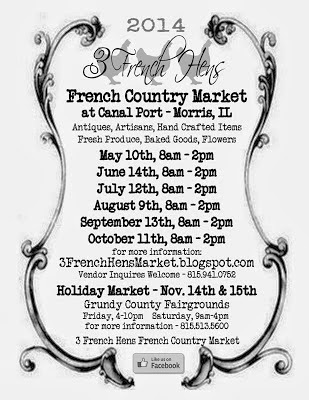 Getting a little rest, and, next Saturday, August 9th, I'll be back at The Three French Hens market in Morris, IL. Sounds like another success, Rosemary! 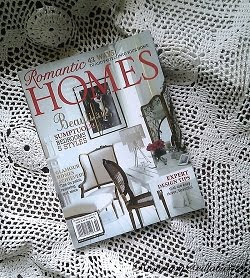 How fun that Kris bought one of your items. I can't wait to see where it winds up at her house. OHHHHHHHHHH My i loved everything you showed us !!!!!!!!!!!!! t would be sooooo hard to resist buying from you. 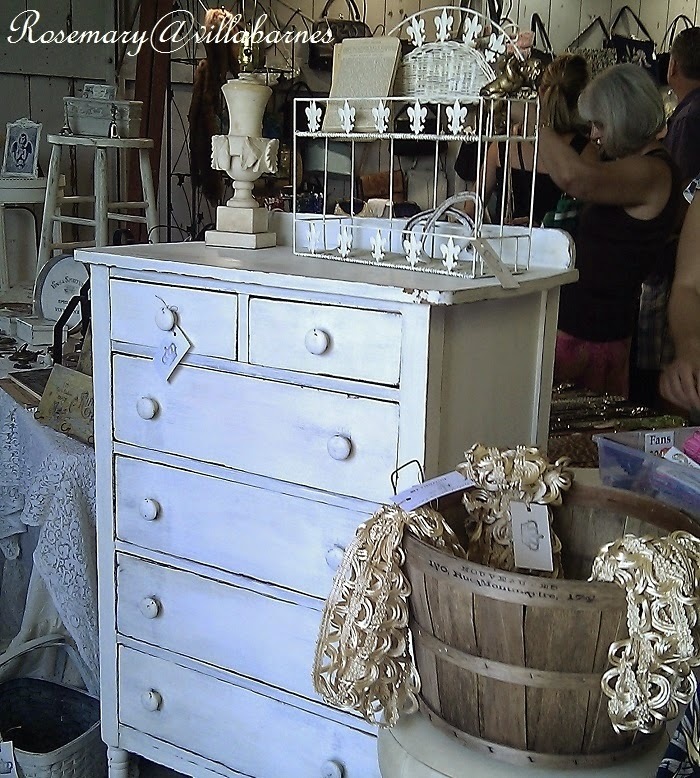 I have heard for years Kane County flea market is wonderful. YAY! Another successful show, congrats! 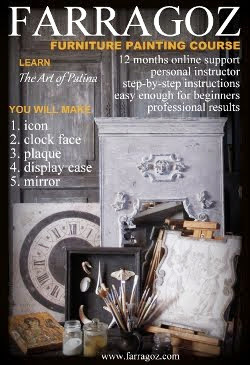 Great wares - and I adore Kris, so neat she bought that awesome dresser. It's wonderful. Try to relax, lady, you've earned it! You have the most amazing booths. Sure wish I lived in Illinois again. 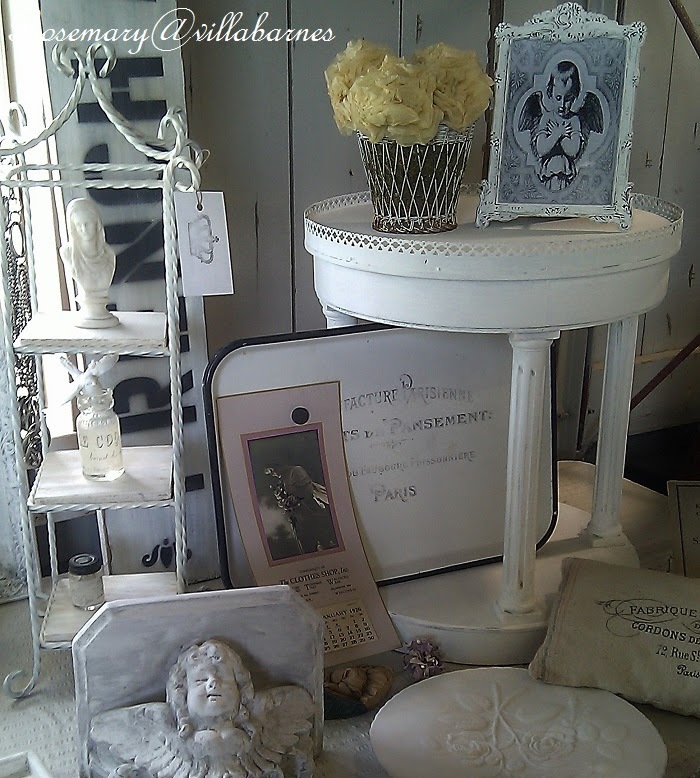 It's all so pretty and I don't think I could have resisted buying that cute, little cabinet. Glad you had a good show! You always have the most beautiful things. Congrats on a successful show. I sure wish I lived near you. Hi Rosemary! 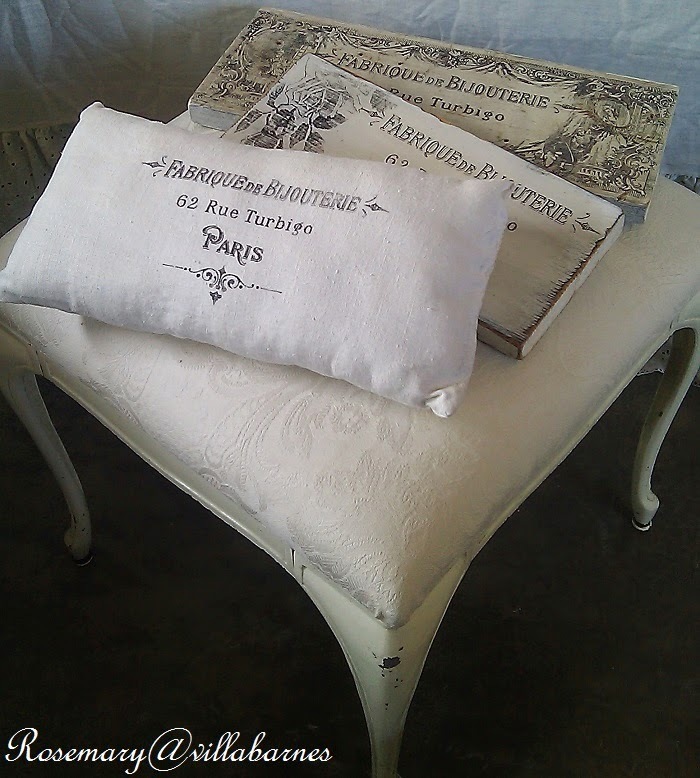 Thanks for sharing those photos of your booth at the flea market....looks like a Parisian flea market with all of your great items made to look old. Your work is just amazing. 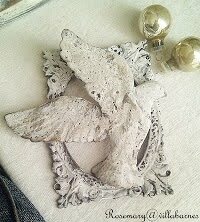 Rosemary I sooooo wish I lived closer, so many things I would of purchased from your amazing creative creations. I too would of purchased the small cabinet, loved the graphics and the knob. 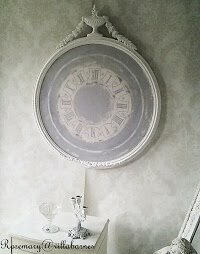 The small dresser Kris purchased with the wheels looks perfect in her guest room. You rock with your items, best of luck this weekend. Rosemary, as usual, your work is beautiful. 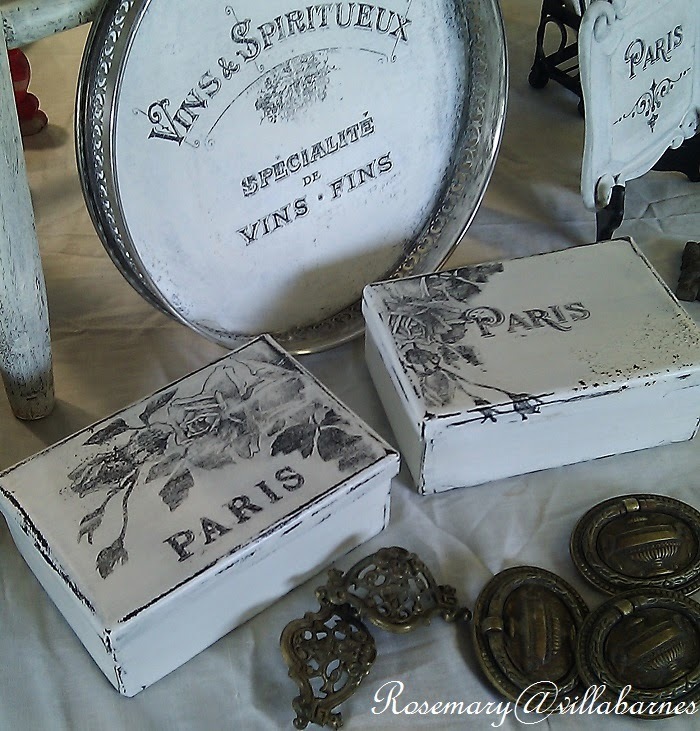 Those wood boxes with the "Paris" and roses transfers are exquisite! I want!! 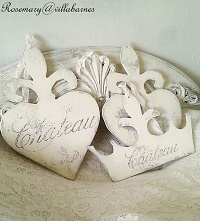 Will you be making/selling any more of those? 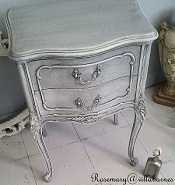 I love love my little dresser with wheels. She found a good new home at my house. I loved everything in your booth as always. I hope to see you are 3 French Hens. Thank you again for my sweet dresser.